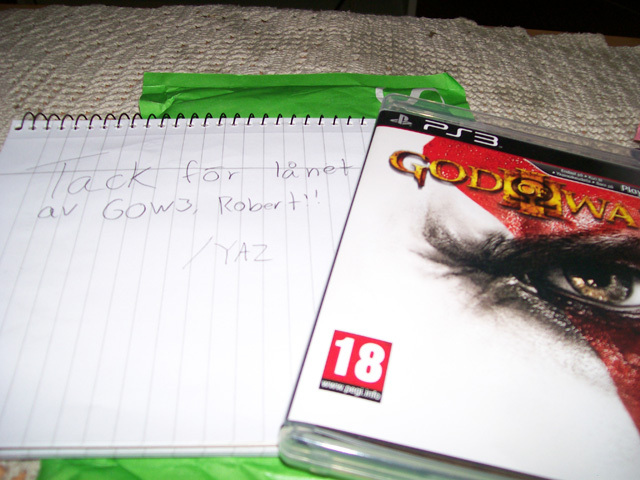 I’m finally playing God of War III, thanks to my friend Robert S.C. He let me borrow the game from him and I’m very thankful. Been dying to play the last part of the game and see what fate is in store for Kratos. Played for about two hours today, sadly don’t have much more time. Stupid work, coming between my game time. I’m kidding of course, work is important I can play when I’m free. Well as I was saying I’ve played about two hours of the game and after the intro I’m sucked into the game. Wish there where movies who where just as epic as GoW intros, they have always been good. But I must say GoW III intro is the best of them all. Again thanks for letting me borrow the game Robert, I’ll try to get it back to you as soon as possible. And hopefully I’ll write a bunch more of the game when I’ve finished it. Before I go I’ll leave you with to pictures. Have to show my gratitude right? 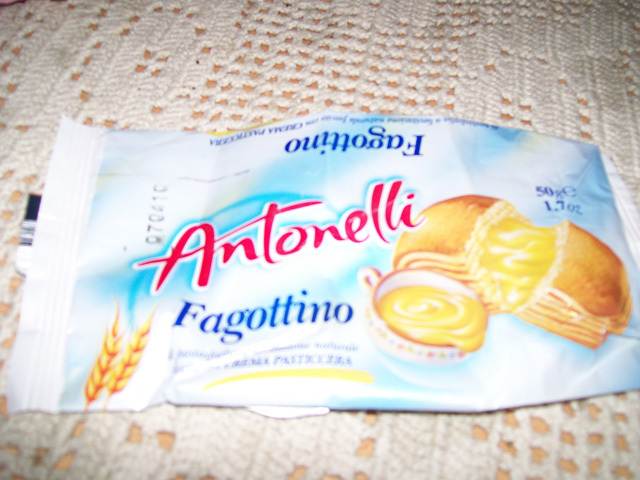 And the other picture is an empty wrapper from a cookie I had earlier today. Haha, yeah it doesn’t take much to amuse me. 4 responses on One pissed Spartan! Im so glad you too get to play the best action game there is, ever. Yeah, me too. Its one of the best action games ever. And everyone should play it. I need to finish God of War 1 now, i am at pandoras temple, you remember? Will find a way trough all the puzzles. And yes, the most impressive epic intro with posedion in the last game in the trilogy proves Sony have the game that stands out everything in the genre so far. Even my friends whos not into games in general, was blowned away and want to buy PS3 and God of War 3. Yeah, har skoj som fasen med det just nu och njuter.